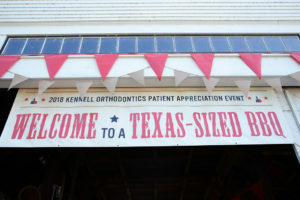 Kennell Orthodontics 2018 Texas Sized BBQ! 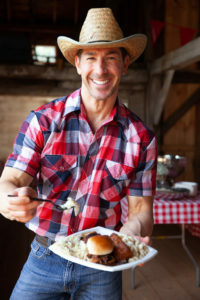 By golly, did we have a boot-stompin' fabulous time at our Texas BBQ! Our patients make it easy to come to the office every day! As a way to thank them for making our jobs so fun and rewarding, we wanted to show them how much we really appreciated them! Team Kennell Ortho partnered with Prescott’s Farm Environmental Education Center in Laconia, to host a private Texas style BBQ on Sunday, September 16, 2018. 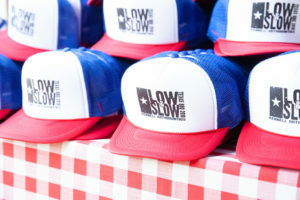 Over 200 of our patients came out that day to enjoy some delicious BBQ food and country festival inspired activities! 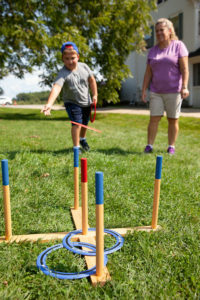 Patients of all ages were able to enjoy playing lawn games like giant Jenga, corn hole, and giant ring toss! 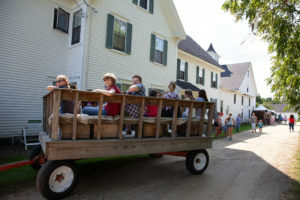 The hayrides that went around the farm gave views of the beautiful New Hampshire mountains that surround the Lakes Region. DJ Nazzy was an awesome host that made the line dancing and pie eating contest memorable for everyone—even the parents got up to bust a move! 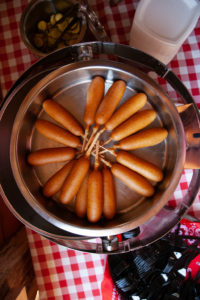 From the food to the photo magic mirror, there was something for everyone to enjoy. Congratulations to patient Kim R, who won a Fujifilm instant camera with a contest presented by Invisalign partner Align Technologies! The service provided by Magic Foods Catering, from Moultonborough, only added to this spectacular event with their friendly servers and finger-lickin' Texas BBQ inspired preparations. It was a special day to have the Kennell Orthodontics family all together to enjoy the beautiful weather and great activities. No one went home with an empty stomach! To view the full whole album of all the awesome photos from our BBQ, click here! Win a Dell Computer for School! 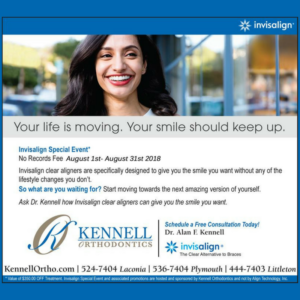 So we all know that school keeps getting closer and closer, but there's some fun stuff going on here at Kennell Orthodontics to make the school year fun! Have you tried guessing the weight of our backpack yet? Stop by our office and try on the backpack for yourself! 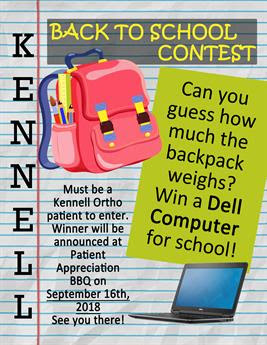 One lucky winner will get an awesome new Dell laptop in our Back to School contest! How cool would a free new laptop be for a new school year?! The winner will be announced at our Texas BBQ on Sept. 16th!!! How to Make the Most of Summer 2018 Before its Gone for Good! Well August is here, and that means going back to school and September are right around the corner. Thoughts of sunscreen, swimming in the lake, and vacation is on your mind just as much as school shopping, homework, and the cool crisp air of fall are. How can you fully enjoy the few weeks remaining of summer with school and going to bed early in the near future?! Dessert for Dinner! 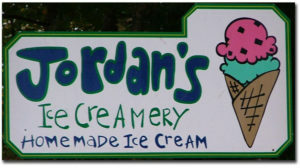 Check out your favorite, local ice cream parlor and see if they have any new flavors! If you’re not too hungry, share a sundae with a loved one! Load it up with all your favorite toppings that you’ve been craving all summer long (and that is safe to eat with your snazzy, new braces). When it’s too hot to cook dinner for the family, ice cream is a great problem solver! Campfire in the Backyard! This is a classic New England get-together (along with s'mores of course). Get some tunes going and enjoy the beautiful New Hampshire night sky with a gooey, sticky treat in hand. You can even get creative with what you put into your s'mores like, peanut butter cups, Oreos, or Nutella! 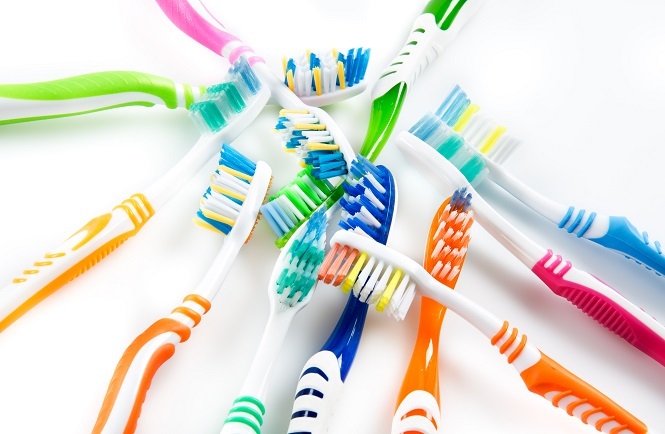 Make sure you brush your teeth thoroughly after enjoying a sweet s'mores when you have braces! 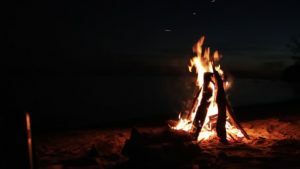 Try to name off some constellations or capture some fireflies and see who can get the most! Take a hike! 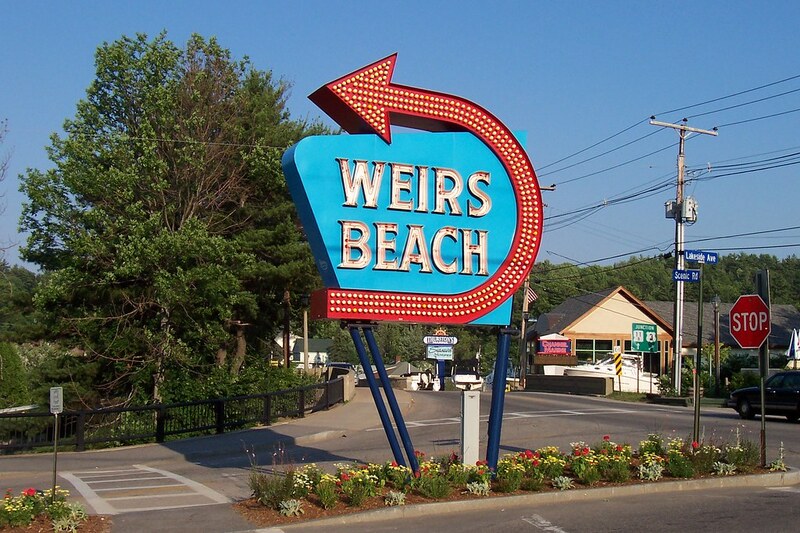 We’re in one of the best states in New England to hike, swim, and surf all in the same day! With almost 50 4,000 footers in our backyard, why not check one off your list?! 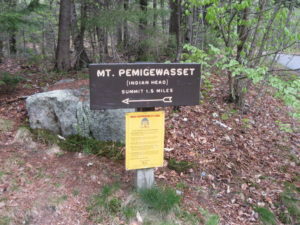 Going on a weekday could help you stay away from too many hikers and have the trail mostly to yourselves! 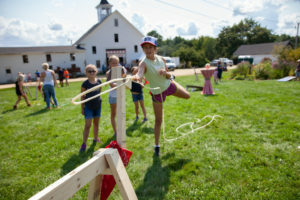 These are just a few of the many great activities that you and your family and friends can enjoy in the Granite State before the school year comes around. Why not spend some time out in the sun and share with us how you make the most of your summer 2018! Our patients are so lucky to live in one of the best states during the summer time, New Hampshire has so much to offer for families and kids alike to enjoy. Check out some of these great attractions and the next time you're in our office, we'd love to hear all about it! Join the Kennell Orthodontics team in participating in our 2018 SPIRIT WEEK. 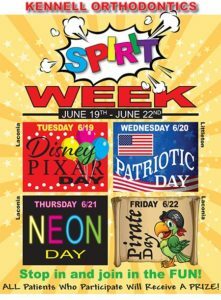 Starting June 19th and make your way through the rest of the week, we invite you to put on a smile and dress up on our various themed days! ALL patients who participate will receive a PRIZE! 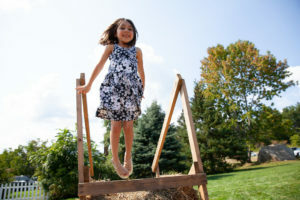 If you recognize any of these signs or concerns in your child or yourself, it might be time to schedule a consultation with Dr. Kennell. Together we can review what your options are.